The wind instruments’ equation isn’t complete without the trumpets. People, regardless of locations, ages and cultures have played this kind of instrument in all music genres, from jazz with glissandos and growls, to even smooth orchestral with vibratos, to beat-driven and loud marches. Nevertheless, the advantages of the trumpets in entertainment rely on the players’ skillfulness. Below is a detailed list of top best trumpet songs all over the time that is played by the greatest trumpet legends. This track comes from Miles Davis’s seminal album called "Kind of Blue," which is played quite straight with Mike, who plays the refrain that was originally played by Cannonball Adderley, John Coltrane, and Miles – so, big shoes to fill! This song proves that all you need for an awesome night out is just a rocking great live band, Adelaide Symphony Orchestra’s sublime talents, Adelaide Festival Centre’s acoustics and comfort, as well as the song, which writes the genius of the best-band-ever. Bernie’s tune was such a jazz standard in 1953. Its music was first written by Bernie Miller, and its lyrics were added later by Mike Stoller and Jerry Leiber. This song was popularized, thanks to a recording by the quartette of American saxophonists and Gerry Mulligan – the composer, on the album of the similar name in 1952, which featured Chet Baker too. This song comes from album “Kind of Blue” of Davis. It was released in 1959. "Blue in Green" is a mellow piece, which has much underlying passion and hurt in the notes. The song is written by Ira and George Gershwin for a Broadway musical called “Girl Crazy.” The version of Baker is from “Chet Baker Sings” – one of his albums. This’s somehow jumpy and low key at the same time. Especially, the feminine sounding vocal of Chet provided some signature jazzy phrasing. This song is such a jazz standard. Miles Davis always gives his song a special signature treatment and makes the listener feel satisfied but still ready for more. "Bye Bye Blackbird" is one of his best works, which has become so popular, since the song was done by a lot of artists and it has been a hit with various versions. "C’est si Bon" is an old French song, which Louis Amstrong and his bands used to love performing. This piece is so catchy and easy to listen that almost of true fans never bore of listening to. C’est si Bon means “It’s so good” in English. The trumpet of Freddie Hubbard is rich and brassy, and the bass of Ron Carter, which may often lack depth and tone on CD, is three-dimensional and plump. This piece has been among top most ubiquitous jazz songs, especially after it was sampled by the Us3 for their “Cantaloop” hit. Possibly, the finest composition of Lee Morgan – Ceora – is from Cornbread album. Just like other ballads, this song proves how Morgan can translate his brassy, loud sound into beautiful and sensitive ballad play. Cherry Pink and Apple Blossom White, or Cerezo Rosa, is arguably the most well-known piece of Perez Prado. In essence, it is a trumpet solo with a big band backing. The song is instantly recognizable for the lipped and valved. Clifford Brown prematurely died in a car crash when he was just 26 years old, however, in his short lifetime, he was successful in making his mark as a talented jazz trumpeter. A great example for his skillfulness can be heard in “Cherokee” on the album “Study in Brown” of Max Roach Quintet. Some regard the drumming of Roach as the most highlighted feature of this piece, however, the song undoubtedly showcases the dexterity of Brown on trumpet. Doodlin’ is composed by Horace Silver. Its original version, by the quintet of Silver, was recorded on 13th November 1954. The song was covered by a lot of musicians then. Jon Hendricks even added the lyrics for this piece. Therefore, Doodlin’ is also one of the jazz standards. When the album was first released in 1977, it defined the sounds of the late 1970s, especially, the mega instrumental piece “Feels So Good” has become a hit at that time. This song was then recognized all over the world and was continuously played on the radio. The trumpet of Chuck Mangione helped him become a music superstar for up to 8 years later. This piece is an orchestral interlude, which was composed by Nikolai Rimsky-Korsakov. The song appeared in his opera called “The Tale of Tsar Salyan” that was written in 1899- 1900. Its composition is tended to musically evoke the rapidly changing in flying pattern and seeming chaotic of a bumblebee. "Godless" was slowly built from the keyboard drone of Zia McCabe, adding a majestic trumpet and an acoustic guitar. Due to the affectless vocals of Taylor, calling somebody as “A soulless friend,” the song has a cool and alluring mood. Among the greatest hits, "Grazing in the grass" proves how Hugh Masekela cleverly blends a post-bop, fiery trumpet style with African rhythms and African-American R&B, and how long before the phrase “world music” came into the vogue. Thelonious Monk, with his profundity and playfulness, wily spirit and clenched voicing, seemed like a source of tribute and inspiration for guitar players’ ranks, that spidery, rangy species of instrumentalists, for whom fifths and fourths come digitally, naturally. When Armstrong recorded this song in 1963, he provided it with unique instrumental treatment and vocal. He was well-known as a jazz trumpet player and for having top most distinctive voices around the world. His gravelly voice was excellent for this vintage Broadway tune. Besides, "Hello Dolly!" was such an unusual piece to reach No.1 during the 1960s. You will have a bluesy, moody feel after hours of listening to the track. Chet Baker alternates between his horn and the vocal. “I fall in love too easily” is a tale of resigned but noble regret. Benny Golson – a jazz tenor saxophone player – composed “I remember Clifford” in memory of Brown, who is a highly rated and influential trumpeter. Brown died when he was 25 years old, due to an auto accident. Golson and Brown had tried to connect the band of Lionel Hampton together. The original recording of the song was by Donald Byrd in Jan 1957. This’s an entry to top 10 songs list of Davis that can easily get stuck in all listeners’ head. It comes with full of motion and a haunting melody. You can even feel the pain of the trumpeter playing the song. Maiden Voyage was among top albums, which marked the starting of Herbie Hancock as a soloist. His partnership with the record called "Blue Note," had already begun and would improve year by year. "Milestones" is the most progressive, electrifying, ambitious piece of “Milestones” album. The major theme begins with a syncopated, accented horn line, and a medium-tempo drum beat. The muted trumpet is so hypnotizing and beautifully harmonizes with the saxophones’ off-beat responses. The vocal of Baker on this standard is what made the mainstream listeners pay attention to his singing and his talents as a jazz player. This’s a haunting that takes on a well-known song. A lot of people consider it as the definitive recorded version of "My funny valentine." On the other hand, Elvis Costello was a big fan as well. This song was composed by the slaves in the south of USA. It was published officially in 1867. The song is considered as a spiritual number and has been recorded by a lot of artists. Dizzy Gillespie was possibly among top greatest trumpet instrumentalists of all time. In the obituary for this talented founder of the modern jazz, The New York Times recognized his playing meteoric and full of virtuosic invention. He was also an excellent music innovator. “Salt Peanuts” is a song debuted in the year 1942 with Charlie Parker on the bebop, interweaves jazz and alto sax. We may consider this as a classic. However, the bebop used in this song is considered revolutionary at that time. The album alternates between calm and cool. It has proved to be top definitive works of jazz, which appeals to both old-time devotees and those who are fresh to this genre. "Stella by starlight" is one of the best hits of Miles Davis. It’s on the top of his ten best songs list since it is the song that everyone can recognize easily, whether they’re fans of jazz or not. “When the saints go marching in” is another standard of Louis Armstrong’s song. As he came from “The Big Easy” and the song was a popular song here. It’s only right that it was a significant part of his career. This piece is among top hits of Armstrong that the true fans of his music are never tired of hearing. The song comes with a good melody, and its arrangement is stellar. Introduced on the studio album named “Brothers in Arms,” the song “Your Latest Trick” written by Dire Straits also appeared on the live album named “On the night,” and the same live version of this song lies in Sultans of Swing. Through the perfect saxophone and trumpet intro, we can see the great blues and jazz influence of the Dire Straits and this rock band also came back to the rock arena by the echoing guitar. The context that talks about alcohol – soaked heartbreak as well as the confusion accompanied by a failed relationship is expressed through the lyrics which is crafted expertly. All these factors contribute to making Your Latest Trick become one of the best trumpet songs of all time. If you have ever heard “Life in a glass house,” you can see why this song is considered an amazing crescendo or sometimes the torturous drama which we have never seen before. This track seems to remind us a few the lush orchestration performed by Elvis Costello’s Spike, if only due to some nimble clarinet and inspired trumpet performance by Humprey Lyttleton. It can be said that Money for nothing is an embodiment of everything achieved by the Dire Straits both professionally and musically. Seen as the most successful single song of this rock band, this song is on the top of the music charts for a long time in the US. “Money for nothing” makes a comparison between the struggle made by the working class and the excess in the rock ‘n roll lifestyle. Despite of success, its lyrics were considered homophobic and being sexist. Little sunflower is regarded as the wonderful jazz standard with the masterful arrangement and being featured by a haunting melody with a light funk groove and an alternating bossa. With the features of a sweet shout chorus and modest brass ranges, these solos can be played on tenor sax, trumpet, and piano. “Little Sunflower” is supposedly an excellent chart and has been tested with considerable success. Lying among the best trumpet songs, Wonderland by Night is s quite a popular song performed by Bert Kaempfert. This song is also the hit on the top of the Billboard for three consecutive weeks from January 9, 1961. The author of this song is Klaus-Günter Neumann, and it is translated into English by Lincoln Chase. This also marked the debut hit between Kaempfert and his orchestra. Charly Tabor is responsible for the trumpet part of this song. The track’s title of “Carnival of Venus” has experienced a lot of changes on the basis of the traditional one themed “Carnival of Venice” that shows trumpet technique where nobody has come before. Based on the Cake’s standard setup of drums, bass, and guitar, the song is featured by John McCrea's characteristically driving and deadpan vocals as well as flourishes of the solo trumpet. “The Distance” showcases not only McCrea's rhythm guitar but also some overlaid synthesized as well as other non – traditional sounds. The song “On Green Dolphin Street” was recorded live in the Netherlands on April 6, 1960. This also marked the last documented performance between Davis and Coltrane because Coltrane mostly spent his entire time on his own combo afterward. It can be said that John Coltrane and Miles Davis were an enormously appealing combination, but each has their own style. While Davis plays the trumpet in an economical and subtle manner, the big-toned Coltrane showed his forcefulness and aggression with his tenor sax. A trumpet sometimes sounds like sunnier than the sound of a saxophone, therefore, just leave it to North America or Canadians’ new “sunny ways” optimists in order to show how a little song can become considerably successful with the help of a little trumpet. Penny Lane is written with a basic melody of the piano overlaid by a distinctive piccolo trumpet and some brass elements. In particular, Dave Mason is the person responsible for piccolo trumpet and the one whom McCartney commissioned for the song and saw performance on TV. Not only is Romeo and Juliet seen as one of the best trumpet songs, but it also is one of the most successfully crafted songs performed by the Dire Straits. Starting with an intro played by arpeggio guitar with a playful tone, the song brings about the contrary heartbreak presented through the lyrics. Expressing the sentiments of a man in a failed relationship, this song is supposed to be written for the lonely. Notably, it stemmed from a failed relationship in reality between Holly Vincent and Knopfler (lead singer of Italy and Holland). The song "Safe and Sound" was presented by an indie pop duo Capital Cities of the US. It is composed and produced by members of the band who are Sebu Simonian and Ryan Merchant. You could hear this song everywhere you went in 2013. Although the trumpet solo seems simple, it is really the most memorable thing and is known as one of simplest trumpet songs for beginners. Being a languid tune, “The Dreamer” is featured by a floating trumpet line which is anchored by James’ meditative and slow crooning. This perfect combination seemingly draws the whole attention, and I was totally fascinated. Also, James’ mature baritone appeared comfortably timeless and familiar. Although the name Van McCoy may not be recognized widely, a certain number of people do know about the dance and song which made Van McCoy famous “The Hustle.” The single song was first introduced in 1975 in the album named Disco Baby and reached 10 million copies sold around the world. According to The Washington Post, this makes The Hustle the biggest dance hit in the 1970s. It can be said that “Time is my everything” by Ian Browns is truly a brilliant song and considered one of his best trumpet songs. He was supposed to go down in his career since the release of The Stone Roses, but with this new single, he seemingly changed everything. With the Arabian – esque trumpets and dream – like singing, “Time is my everything” is really excellent and different from the others. Telling a transformative night of two characters, the song “Meeting Across the River” performed by Bruce Springsteen is the 7th track on the breakthrough 1975 album of this band themed “Born to Run.” This song can be seen as the B – side of this album or the lead single. “Meeting Across the River” is featured by a haunting and soft trumpet performed by Randy Brecker and a dark character sketch. One of the most famous songs of Outkast's classic Aquemini is “Spottie Ottie Dopaliscious.” At first, it seems not to be a great success with such longevity when this 7 – minute song had never been made public as a single. However, this song has become one of the most remembered records of the duo thanks to both it's nearly spoken-word and memorable narrative and distinctive horn line. Presented by Dire Straits, "Brothers in Arms" is written with a haunting and ominous tune which tells the shattered lives and struggles of war. This song has appeared in many blockbuster films over many years and been covered by various artists. There are now 2 studio versions of this song with slight changes in length. In addition, there are also live versions with pedal steel guitar solos added to support for the dark atmosphere. Well – known for the powerful presence in music, the trumpet is one of the most ancient instruments in the world. Over many centuries, the stories and legends of this amazing musical instrument have been increasingly rich and interesting. 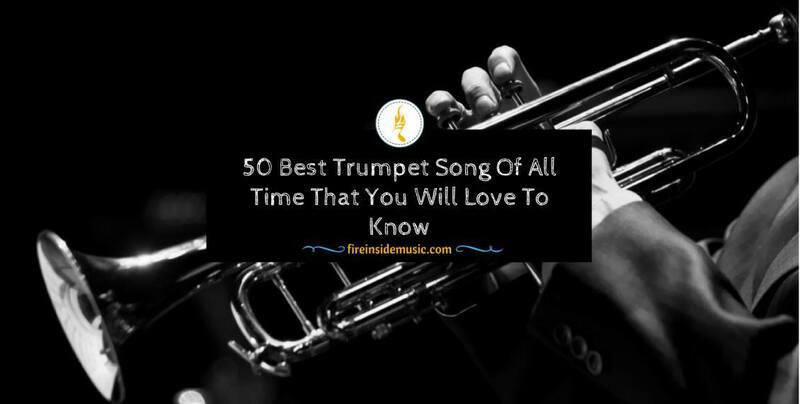 So, above mentioned trumpet songs are 50 suggested best trumpet songs of all time suggested by us and if they fascinate you, you can get access to the websites in order to download free trumpet solo sheet music to give it a try or practice.